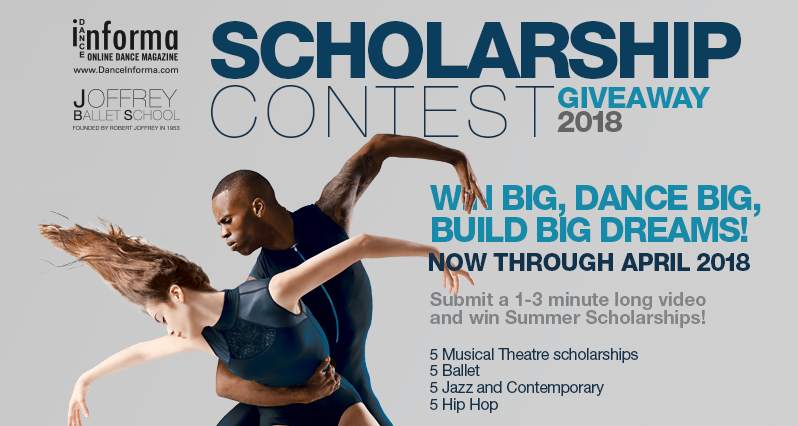 Win Big, Dance Big: Win a Summer Scholarship! Dance Informa is excited to once again partner with the Joffrey Ballet School in New York City to host a Summer Scholarship Contest! Now through April 15, dancers can enter to win one of the 21 scholarships up for grabs! They can simply head to www.danceinforma.us/ballet-scholarships, complete the online form and submit a 1-3 minute video. 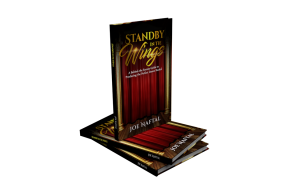 The contest offers five musical theatre scholarships, five ballet scholarships, five jazz and contemporary scholarships, and five hip-hop scholarships. Each of these are full tuition scholarships for a two-week intensive. Plus, there will be one full tuition scholarship for one year to the Joffrey Ballet School Trainee Program in NYC. This alone is valued at $15,000! 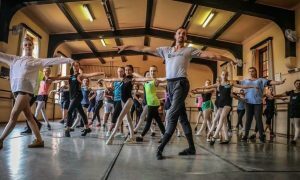 As the sole news provider for the Joffrey Ballet School, Dance Informa is thrilled to once again partner with this extraordinary organization in this special way. The first scholarship contest was offered two years ago and since then 75 scholarships have been awarded! 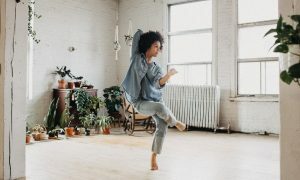 Originally founded in 1953 by Robert Joffrey and Gerald Arpino, the Joffrey Ballet School develops and trains professional dancers, having produced over 5,000 working dancers in the last 64 years. To learn more about the school’s various summer programs, head to joffreyballetschool.com. To enter the scholarship contest, go to www.danceinforma.us/ballet-scholarships, complete the form and submit a 1-3 minute video. We can’t wait to see you dance!